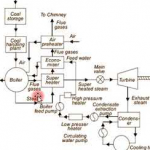 Boiler is the heart of the process plant and steam system. In case of Liquid or gas fired boiler, fuel burns in the burner, whereas, in case of solid fuel fired boiler, fuel burns in furnace chamber and transfers heat to the boiler tubes. 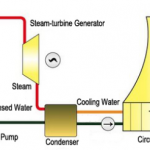 The function of boiler is to convert feed water into steam. 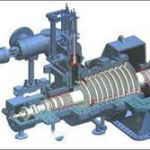 The fluid is contained in the boiler drum called shell and thermal energy released during combustion of fuel is transferred to water and this converts water into steam at the desired temperature and pressure. 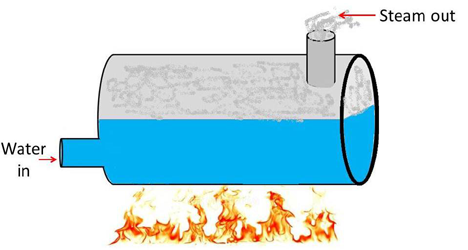 In fire tube boiler the fire or hot gas are present inside the tubes and water surrounds these fire tubes. Since fire is inside the tubes and hence it is named as fire tube boiler. In water tube boilers, the water is present inside the tubes and the fire or hot gases surrounds these water tubes.